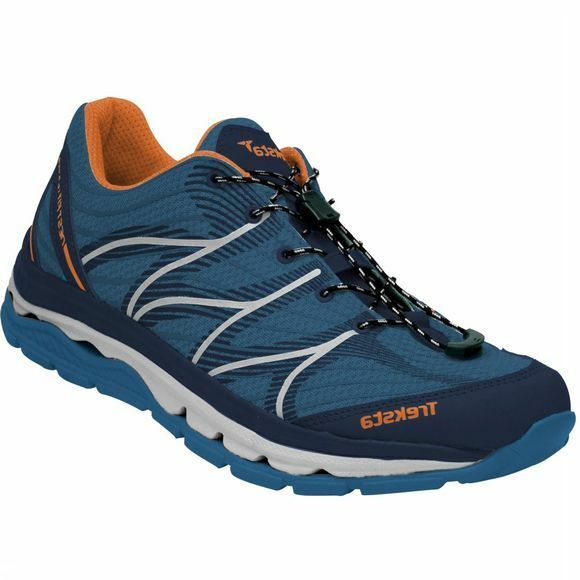 The Men's Mega Wave Shoe from Treksta is a lightweight and highly breathable shoe that will cradle your feet on long days in the outdoors. The NestFit construction helps to keep your foot in a neutral position for a biomechanically correct stride which helps to prevent foot and muscle fatigue, while Treksta's Heel Control helps to reduce any movement in the heel to reduce the chance of hotspots or blisters occuring. The Hypergrip HGL outsole with IST technology offers maximum grip and stability on a variety of surfaces thanks to independently moving outsole lug components that help to establish a pure connection between shoe and trail. Perfect for that adventure you've been meaning to go on.